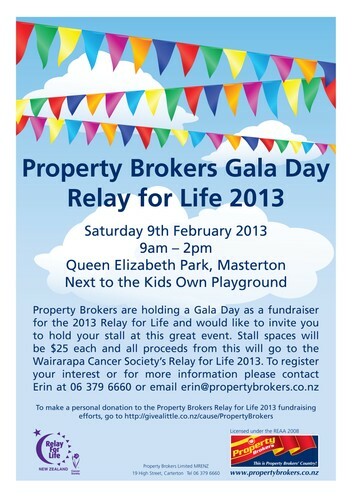 Property Brokers are organising a gala day to raise funds for the Cancer Society's Relay for Life 2013. We will have great stalls and lots of things to see and do. Come along, spend the day, have a great time and help us raise as much money as possible for this wonderful cause.